The Centre has announced that it will be operating with two brand new reward schemes. These are called the Lucky Grahak Yojana and Digi Dhan Vyapar Yojana schemes. These have been designed to help people use cashless transactions. These are especially expected to help people learn more about how they work and what makes them appealing. But to fully understand these two concepts and why Prime Minister Modi has been so supportive of them, it helps to take a closer look at how these are organized. These programs are designed respectively with consumers and merchants in mind. They have been organized to help people take advantage of cashless transactions. This is especially critical in a time when cash-based transactions have gotten under high scrutiny in recent time. The move towards this new reward scheme has especially become important considering how demonetization has occurred. There have been problems with people attempting to withdraw cash throughout India as many notes have been discontinued. The reward plans that the government is passing are being used to help encourage people to use more digital transactions. This is especially to ensure that physical money does not have to be utilized as often as it had been in the past. Customers who use digital transactions for payments will be eligible to earn Rs. 1000 per day or as much as Rs. 1 lakh per week. This scheme will go from 25th December to 14th The person who will win the top prize of Rs. 1 crore will be announced at that time. NITI Aayog will help to monitor the transactions to see who is eligible to receive potential rewards from the government. Any money that is to be given to people for winning will be paid out through the National Payment Corporation of India. 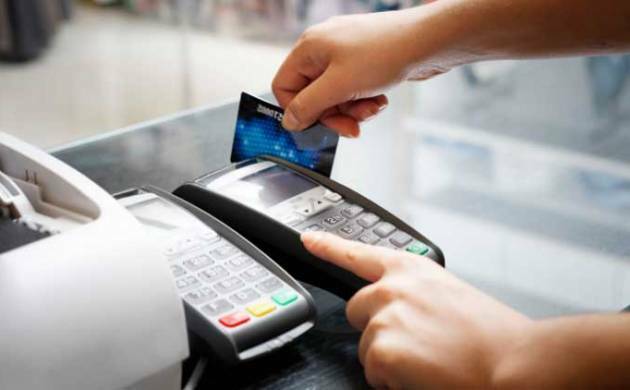 A merchant will have to install a point of sale machine in one’s business site. This is used to record cashless transactions. Merchants can win up to Rs. 50,000 per week from 25th December to 14th April for the cashless transactions that they produce. A larger payout will also be given to one lucky merchant at the end of the scheme. Businesses that do not have point of sale machines to take care of cashless transactions will not be eligible to take advantage of this offer. The schemes run by Centre will cost about Rs. 340 crore to operate. These schemes are also designed to cover smaller transactions that range from Rs. 50 to 3000 in value. This is to encourage people to use the cashless transaction offers available to them and to be less reliant on potentially difficult cash payments. RuPay, AEPS, UPI and USSD payment methods can all be used in the process of getting cash through. Transactions that are made through private credit cards and through online wallets are not accepted at the moment. That is, they will not be a part of the schemes. The draws used for the Centre’s offer will take place throughout the entire run of the program from 25th December to 14th April. Up to 15,000 people can win Rs. 1,000 each day while merchants can win Rs. 2,500, 5,000 or 50,000 each week. Weekly awards are great but the mega-prizes are the most important. These are to be given out at the very end of the campaign. These prizes can go for Rs. 1 crore, Rs. 50 lakh and Rs. 25 lakh per consumers. Merchants can get Rs. 12, 25 or 50 lakh through these mega draws as well. These are all to be held throughout the program with the mega draws taking place at the very end. These are expected to be very popular among all sorts of people looking for more out of their cashless transactions. While cashless transactions have been rather prominent in many urban parts of India, these schemes are being held to encourage people to take a closer look at how rural areas can benefit. This is especially to get technology for handling cashless transactions out to places where they have not necessarily been accepted in the past. The efforts being used by Centre to encourage people to get into cashless transactions will certainly be worth watching as time goes along. This especially comes amid concerns over how physical money is being handled all around India. The potential for people to get good payouts for actually using cashless transactions will especially be worthwhile for people to see and enjoy.